After the sudden cancelation of Star Wars The Clone Wars, Star Wars fans had nothing more to cling on to regarding television media, until Lucasfilm decided to pull one last rabbit out of their hat with Star Wars Rebels-an upcoming animated TV series. 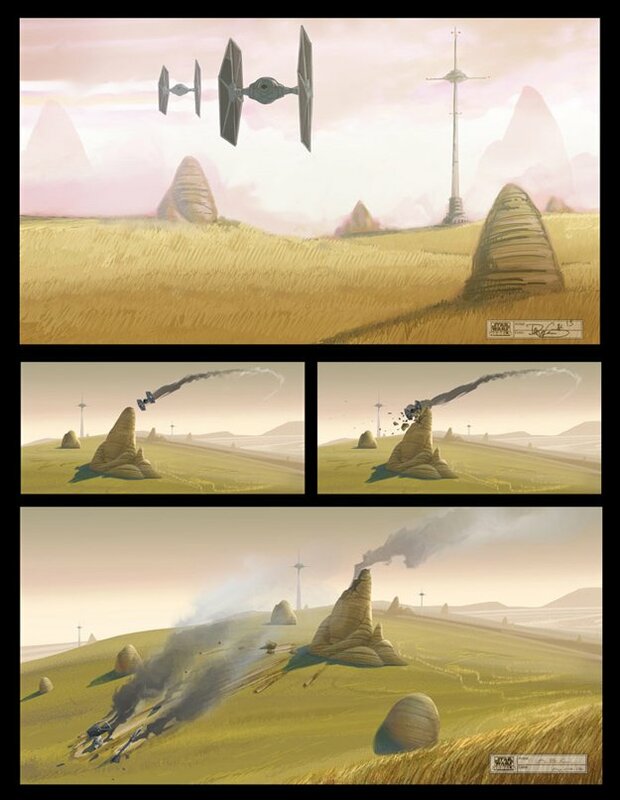 Up until recently, very little was known about this show other than Dave Filoni's involvement, and the occasional concept art. However, this weekend brings forth Star Wars Celebration Europe II, and with that comes so much news it's practically pouring out our ears. First of all, the logo-simplistic in design, but certainly effective. Next up, "The Ghost"-which will be the main character's ship. There are clearly hints at the Millenium Falcon, but also a slight touch of the Ebon Hawk (from KOTOR) mixed with a hint of Serenity (From Firefly). The series takes place between Star Wars Episode III and Star Wars Episode IV, in a time where the Empire is strengthening it's power in the galaxy and hunting down the last remaining Jedi. Be sure to check out this video recapping all the information, along with the Q&A Panel with Dave Filoni. "Star Wars Rebels" is scheduled to premiere in fall of 2014 as a one-hour special Disney Channel and will be followed by a series on Disney XD. Check out StarWars.com for more details!